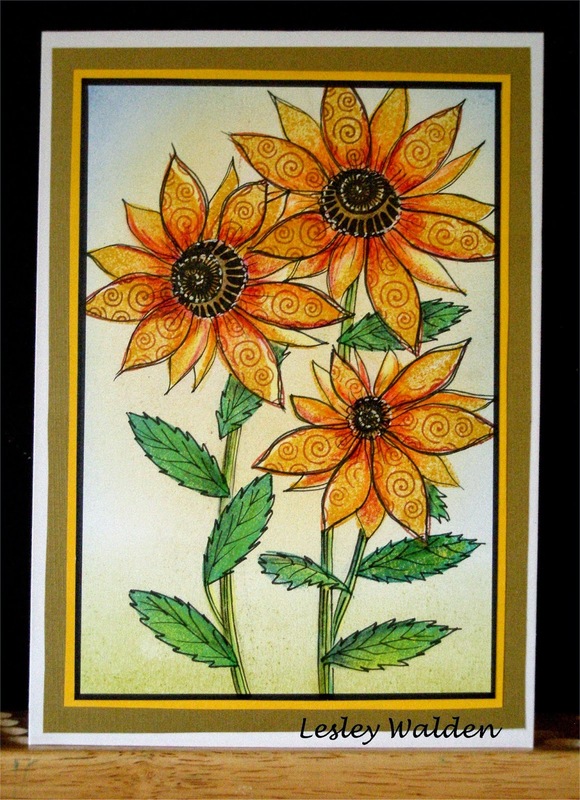 Welcome to February Clarity crafters! We've well and truly kicked our way into 2015 and have survived the long month of January. It's always nice to see the end of the month as a lot of people get paid early for Christmas don't they? Barbara has released her workshop dates already to those that attended last year and they will be on the Clarity website shortly. Remember to be quick as they get snapped up pretty quickly! Just a reminder that Barbara is on our TV screens today on Create and Craft, not once but twice. Her usual slot in the morning between 09.00 and 11.00 and then again at 17.00 so don't forget to have a cuppa ready and waiting for three whole hours of fun, crafting and techniques. You'll also get to see all of the fabulous stamps that were previewed at the CHA on the 17.00 show. At this time of year we start to see the snowdrops in our gardens as well as the spring bulbs peeping out of the soil. 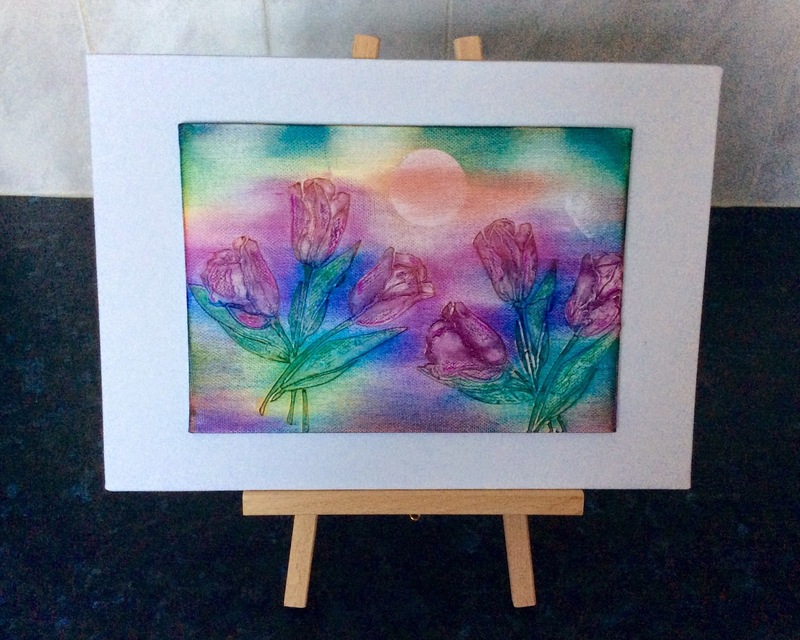 Flowers can be used on a lot of our artwork as they lend themselves to most occasions so you shouldn't have any trouble finding an excuse to make a card for this challenge. There's a real floral display on the Clarity website with an abundance of blooms to choose from. Hello my name's Jacqui and I'm a newbie to crafting of any kind and I mean a clueless newbie! There's so many different inks - versawhat?? The only time I have done any art or anything crafty was at school and that wasn't yesterday. Until recently I was married for 35 years and have a grown up family and five grandchildren. 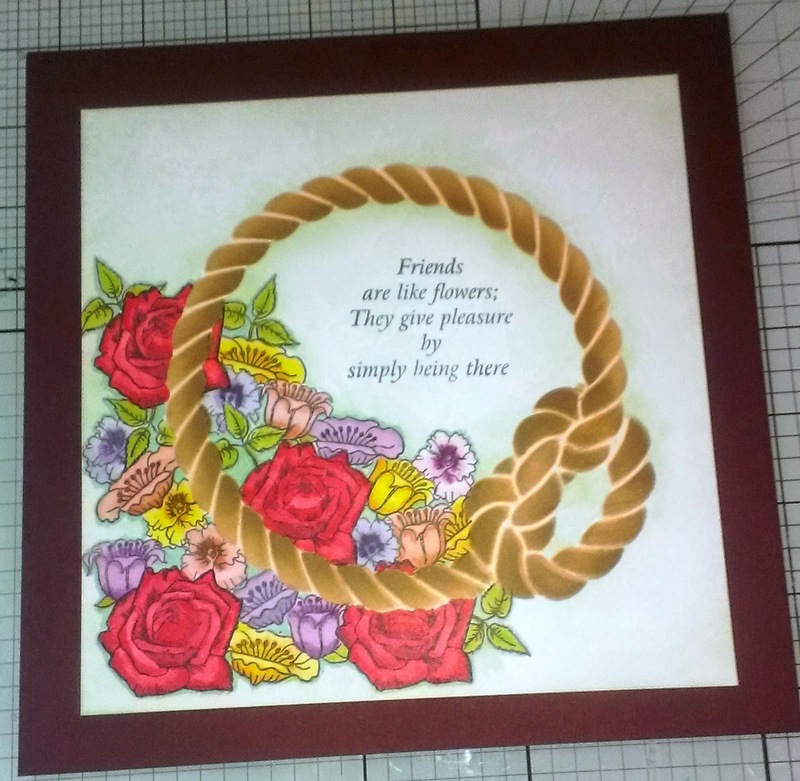 My card making started very recently when I was feeling a bit miserable and while standing in the queue at the local supermarket I looked at the magazines on the shelf. There was a card on the cover of one of them with a lovely village scene and I thought it was so lovely and it sparked some interest in me. So several ink pads, card blanks and stamp sets later I have made Christmas cards, two birthday cards and of course my January entry into this challenge, but I still haven't made the village scene card! 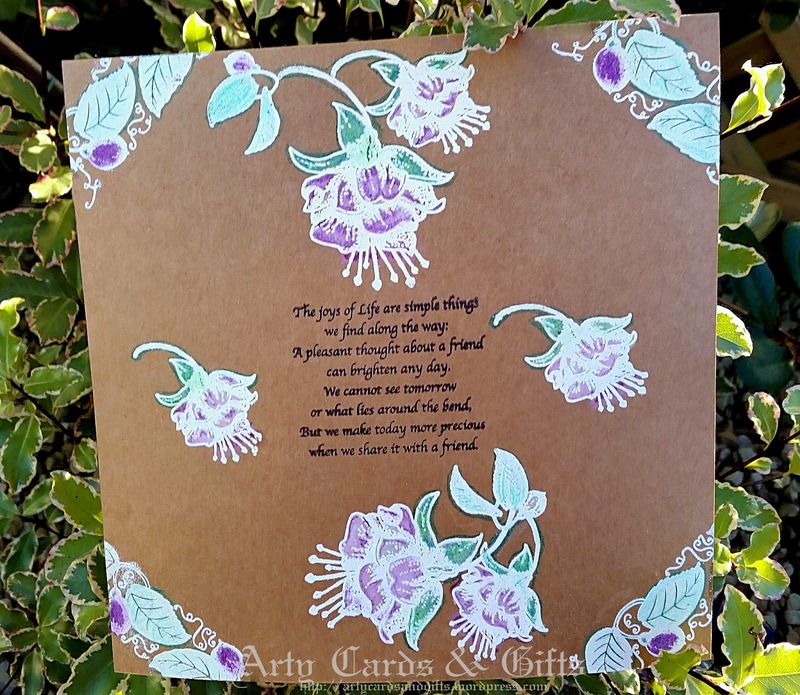 I searched the internet for inspiration for my cards and discovered Barbara and Clarity Stamps and am now totally hooked on these lovely stamps and Barbara's blog. When my challenge entry won the January challenge I was so excited that I burst into tears. 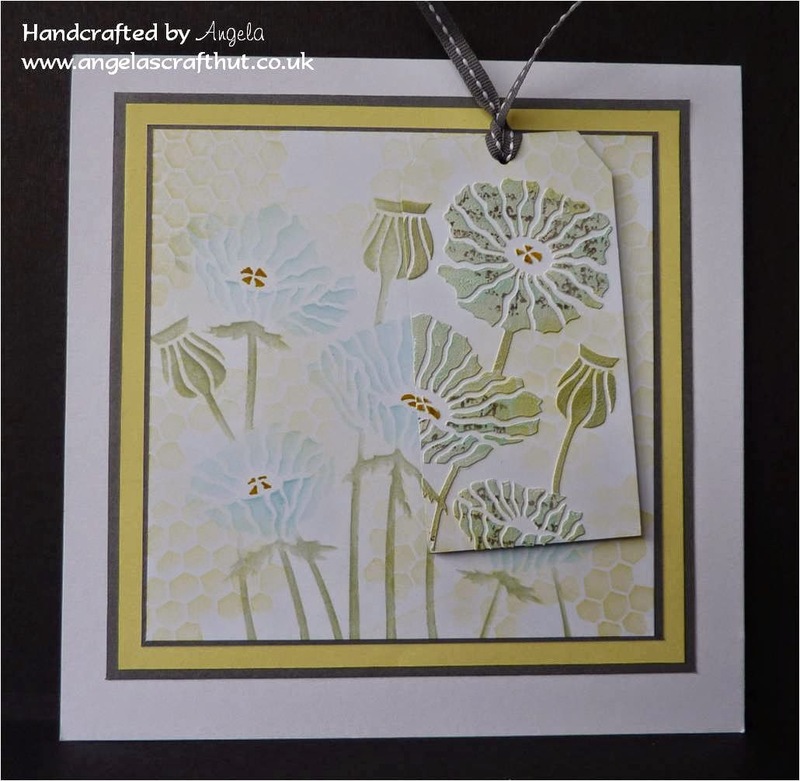 The card I've made for the current challenge, as a guest designer, sends you a little sunshine to brighten up these cold days. 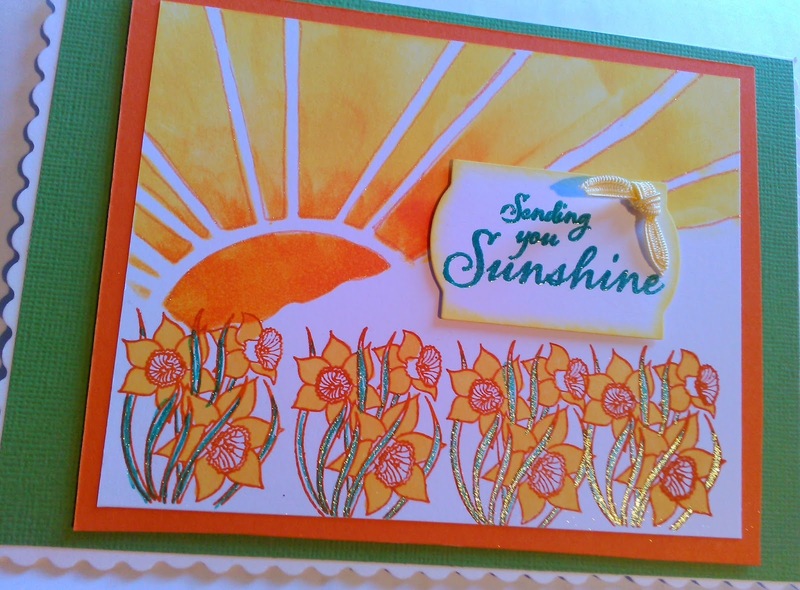 I used the sunrise stencil and the daffodils and sunshine sentiment stamp. To add a bit of zing I coloured the leaves of the daffodils with a green glitter pen and outlined the suns rays with a gold glitter pen. Since I started making cards it has re-ignited my old knitting interests and I have now found my needles and wool again. I have also signed up for a Calligraphy class at the local school and doing upholstery classes one afternoon a week. Thank you Clarity Stamps and to everyone. 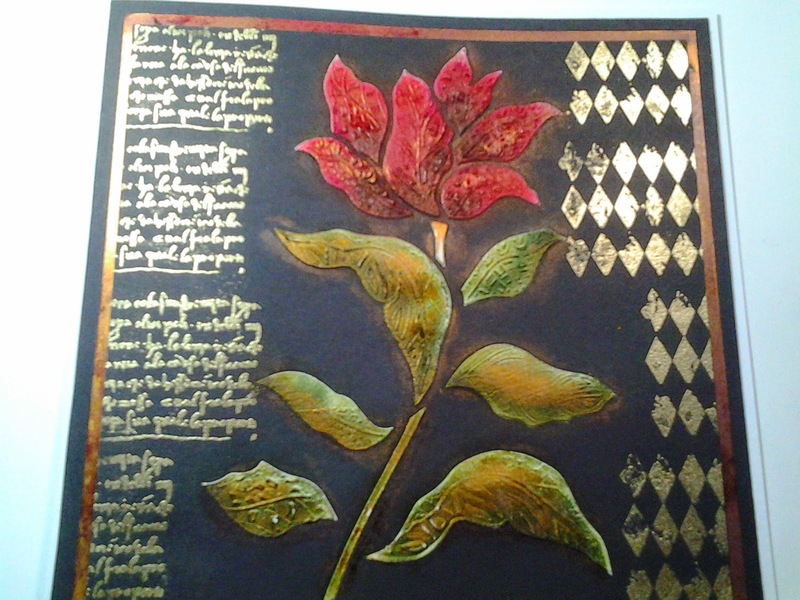 Happy stamping, grunging, scrapbooking and card making to you all and good luck in the current challenge. Well done jacqui! What a beautiful bright card. Welcome to the crazy crafty world! I'm sure you'll have great fun, and look forward to seeing your future designs. This sounds like just the beginning for you Jacqui - you're going to be a very busy lady! Congratulations on your win and hope you have lots of fun with whatever you choose from Clarity......the possibilities are endless! I love your daffs - the card you've designed is beautiful. Thank you so much for all your encouraging words of support. You are all so kind. I really had a time choosing what to spend my winnings on but chose stencils, masks and ink and continue to "dabble" at my desk. I really enjoy seeing all the cards and ideas posted - what a variety for one theme. I love it!! Thanks again and I look forward to seeing all your beautiful creations.